Greetings from Texas! I hope this month's Newsletter finds you in good spirits and good Ansatz! It seems fitting after reading through this month’ s interviews and articles that I should be the one invited to write the introduction. 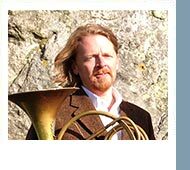 Amy Thakurdas´s article, sums up this month's newsletter best: "A 21 st century “portfolio career” is advisable for horn players." 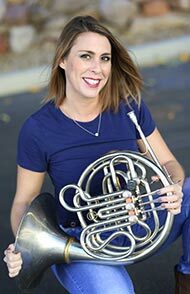 Tawnee Lynn Lillo´s interview is also a shining example of a horn player who has “Additional Life Skills” beyond her horn playing abilities that not only have allowed her to create her own business but also to enrich the lives of the people around her. Also a “must read” article from Indiana University´s school of music (my alma mater) with the title, “Top Ten Tips for Musicians´ Websites.” Having built over 40 websites for myself and other horn players, I found this to be great advice. Remember, a website should no longer be just a glorified business card that looks nice. It is a TOOL that should be designed to have real functionality in it. If built correctly, it can make you money while you sleep. Great advice and life skills suggestions for students and professional horn players as well. My personal life is a good example of why this month´s newsletter is so important. You see, I had to end my career as a professional horn player back in the year 2000. I had just gotten out of school in Germany, having had the great opportunity to study with Professor Hermann Baumann and was very happy freelancing as an American in Germany for many years. Unfortunately, during months of playing Les Misérables, I injured myself while playing. I then continued to play with the injury for the next five years, until alas, I had to end my horn playing career. That was the bad news; the great news is that I had to reinvent myself! I went on to found my own real estate business in Germany, as well as an online internet marketing firm. Both businesses have given me marketing skills that have allowed me to work with Hermann Baumann, Frank Lloyd, Javier Bonet and Engelbert Schmid. You may not know me personally yet, but you probably have already seen a lot of my online work. So through my own experience, I can attest to the importance of diversification. Reading every article in this month's edition is well worth your time. You never know what life will throw at you, so even the best of us need to have a plan B.
Kristina Mascher-Turner: Tawnee, you are a woman of many talents - it’s hard to know where to start! How about at the beginning? How did you come to play the horn in the first place, and how did you first start your career as a horn player? Tawnee Lynn Lillo: If I could describe my unique prowess to the reader, it’s that I’m excited about everything. To some people, this must sound exhausting :) After dabbling in running, tennis, sports, piano, flute and some violin, the horn pretty much called my name in band one day in 8th grade. My family of 7 lived on 80 acres of land so that my father could have an airstrip to fly his planes to/from work. We “temporarily” (1988-2006) used a diesel-powered generator for electricity. Watching Independence Day with my family at home during generator hours was when I was first sold on the horn!! The student model F horn we all start out on came home with me, and I taught myself how to change the sound from a dying elephant to something more enjoyable that summer (I had a cockatoo at the time who would sit on the bell and bob his head up and down to my beats). As for my career, I feel I am smack dab in the middle of it as we speak and am doing everything I can to stay focused, alert, aware, happy, and smiling, helping and inspiring as many as I can along the way. After studying at the University of Arizona with Keith Johnson as well as at USC with legends Vince DeRosa and Richard Todd, I started playing small jobs around campus and the surrounding areas. From there, all kinds of adventurous opportunities arose. Every SINGLE person I started my Masters degree with at USC is playing at the highest level and mostly teaching at colleges/universities! KMT: While at music school, we are often captivated by the idea of winning that big orchestra audition and settling into a stable routine (and salary). So often, destiny takes us in other directions. How important is it for us to keep our feelers out for alternate paths? TLL: Being in that principal horn spot, especially (on any part) full time in a symphony is an accomplishment for the history books and really takes a badass individual. Preparing, staying focused, being a team player who works well in this setting, having the proper balance, etc. is something many dream of while some naturally have that talent/skill. With all kinds of talent in our industry, and with the whole entrepreneurial picture, now is definitely the time to learn, research, develop and incorporate other skills that allow our musical abilities to grow and expand. It’s pretty incredible getting the opportunity to do what I do as I’m sure most of you reading can relate to on some degree. Being surrounded by and getting to hang out with, make music, perform, laugh, and have deep/important conversations with such skilled colleagues, friends and mentors alike is an incredible gift. Having the opportunity to sub more with the San Diego Symphony has been a highlight, and preparing my student for the professional world has been a reminder of how well I was taught/guided!! KMT: You first got into contracting through your association with an opera company - can you tell us about those early key moments? Musicians find the ‘business’ side of their career dull and tedious. This article is a taster to help you achieve your musical and life goals. It is not aimed at the professional who is living their dream but rather those who are actively pursuing their goals. Hopefully, it will allow you to identify some areas you might need to strengthen while pursuing your dream. Many newly qualified horn players will have followed traditional steps to find an orchestral placement or teaching position. With limited spaces in both the performance and academic worlds, a 21st century ‘portfolio career’ is advisable. This allows for work in horn related industries and results in direct exposure to some of the best horn players and teachers. While I was working with six graduates, they had multiple horn related interests and talents which allowed them to pursue careers in management, manufacturing, historical writing, marketing, music arranging and fundraising. All six placed in their area of interest. Although it is not living the traditional professional horn player’s dream; they are within the sphere of the horn world and enjoying their chosen goal orientated first job. These new graduates earn a living and make a difference to the horn community in multiple capacities. Down the road performance of teaching jobs will inevitably appear and in the meantime they will have made meaningful contributions to the horn world with their multi-talents. Take small steps each day towards your career goals. Very soon when you look back, you can see you have achieved so much. Just remember to take the steps each day. It is easy to become distracted or procrastinate. Streamline your routines toward your goals and don’t forget to review your life plan as a musician, regularly. Maybe create a timetable and carve out a specific time to accomplish each small step. Or aim to complete one step each day before or after your daily practise schedule. Horn and More will take a break next month as we prepare for the excitement of the upcoming International Horn Symposium. Look for us again in July with video footage from IHS 49! Al heel lang stond op mijn bucket-list om een solo cd op te nemen. In mijn jaren als solo hoornist van Het Gelders Orkest heb ik veel opnames gemaakt van grote orkestwerken. Mahler 5 en 6, Tsjaikovski 5 en vele anderen. Verder nam ik het hoornconcert van Mercadente op met de Amsterdamse politiekapel voor uitgeverij Molenaar. Maar van een "eigen" cd kwam het niet, ook omdat ik niet wist hoe het aan te pakken en welke stukken ik dan zou willen opnemen. In 2013 zegde ik mijn baan op. Het ging niet goed met het orkest, door zware bezuinigingen, en het ging niet goed met mij. Ik wilde nog wat anders. Ik nam een sabatical en vond door het spelen op een Millereau natuurhoorn, die ik van Lowell Greer kocht, het plezier terug in de muziek. Al gauw werd mijn agenda voller met natuurhoorn werkzaamheden. Spelen met geweldige groepen als het Orkest vd Achttiende Eeuw, Apollo ensemble, Anima Eterna en vele anderen. Ook kreeg ik een ruimere aanstelling bij het conservatorium van Zwolle én ik begon een ander project waar ik al heel lang over dacht. Ik wilde een bedrijf waar enthousiaste natuurhoornisten keus zouden vinden in historische instrumenten. 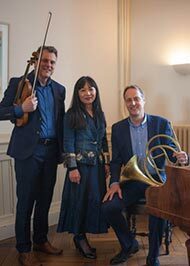 Tijdens een repetitie van Brahms hoorntrio (op natuurhoorn) zei de violist: we zouden het eigenlijk moeten opnemen! En toen kwam mijn oude wens in al zijn enthousiasme weer te voorschijn! Ik dacht er over, deed wat onderzoek naar crowdfundingplatforms en berekende hoeveel het allemaal minimaal ging kosten. De pianiste, Riko Fukuda, heeft de beschikking over verschillende, prachtige, historische vleugels. Haar man is Edwin Beunk, eigenaar van fortepiano.nl. Een cd maken is tegenwoordig heel makkelijk, als je maar budget hebt. Ik moest het zo goedkoop mogelijk houden, zonder de kwaliteit te verliezen die ik voor ogen had. Some of the most amazing things that happen in your life come as a total surprise. That is exactly what the success of my YouTube channel has been. As of this writing, I have over 5500 subscribers and almost 2 million views! I have received emails and other correspondence from all over the world. Soon after, I left the world of high finance to becomes a public-school band director and community orchestra horn player. The first midi accompaniment I made was of the first movement of the Hindemith Horn Sonata to help a student prepare for a school district “Solo & Ensemble” festival. This proved to be very helpful for her and she received superior ratings at both the district and later, the state level. This lead to the making of additional accompaniments for myself and my students. The making of this CD improved my playing dramatically! I discovered, for example, that as I held a long note and got softer, I would go slightly flat right before the release. Recording gave me an opportunity to listen in a very critical way to how I sounded and to work to perfect my playing. Foi com grande satisfação e alegria que recebi do meu muito estimado Prof. Ab Koster o desafio de dar a minha contribuição para a Coluna Pedagógica da IHS Newsletter. Esta Coluna é uma ideia fantástica e tem apresentado artigos muito interessantes e inspiradores. É mais uma demonstração do papel da IHS e de como é uma verdadeira sociedade internacional. Sem querer ser demasiado exaustivo, gostaria de partilhar com os leitores algumas das minhas ideias principais sobre a trompa e sobre a sua prática. Na minha opinião é aquilo que mais diferencia a trompa de todos os outros instrumentos. Certamente é o que, a nós trompistas, nos apaixona e o que encanta o público. Haverá sempre instrumentos que tocam mais forte que uma trompa, que serão mais virtuosos, que tocam mais agudo, mais grave, etc. Mas poucos instrumentos têm a capacidade de encantar com um simples som e de tocar qualquer alma. Olhemos para alguns dos nossos solos orquestrais mais admirados, como por exemplo a 2ª Sinfonia de Brahms, 5ª Sinfonia de Tchaikovsky, 9ª Sinfonia de Beethoven (Trompa IV), Nocturno de ‘Sonho de uma Noite de Verão’ de Mendelssohn, 1ª Sinfonia de Mahler, Sinfonia Alpina de Richard Strauss, etc… Não serão certamente exemplos de virtuosidade, no entanto são momentos fantásticos do repertório orquestral e capazes de deixar qualquer plateia rendida. E porquê? Certamente pela capacidade sonora do instrumento. Em suma, no meu entender o primeiro fundamento é a qualidade sonora. Deverá ser algo que nos identifica, a nossa voz e alma. Independentemente de haver diferentes conceitos sobre sonoridade, para mim o mais importante é que o som seja centrado, claro, e projectante. A nossa embocadura, a posição da mão dentro da campânula, a forma como respiramos e usamos o ar têm um papel decisivo na qualidade da nossa sonoridade. O papel da embocadura é crucial e definidor daquilo que somos como trompistas. Uma embocadura forte e estável é fundamental. O objectivo é tocar de forma competente em todo o registo da trompa, conseguir ser flexível mantendo a qualidade da sonoridade e afinação. Recomendo a prática diária de vibração labial, com e sem bocal. O estudo de notas longas é muito útil para o fortalecimento da embocadura, resistência e da qualidade sonora. Online presence is a frequent topic at the Office of Entrepreneurship & Career Development at the Jacobs School of Music. Like everything in the world of technology and music today, it’s an ever-evolving project, but there are some constants to keep in mind. Your website can be the most important public-facing ‘front door’ to your target audience(s), so it’s good to prioritize your content there based on what you want them to know. What do you want your website to do for you, as a professional musician? Are you hoping for more gigs and performances? Do you hope to sell recordings or services [lessons, workshops, products]? Are you hoping to raise awareness for current projects? Your website doesn’t have to be an expensive or laborious proposition. Website-building tools like Weebly, Wix, Woodpress, or Squarespace offer options for a sleek professional look with drop-and-drag functionality, and ease of updating. Later, if you need more complex tools or functionality, you can hire a designer to customize a new site. Consistency in page design, use, colors, and images is key to helping your audience get to where they want to go. An electronic press kit (EPK) strengthens your hand. Things to include: downloadable bio(s) [with word counts noted], CV/resume, headshots and other images. If you’re a performer, be sure to include one or two high-res action shots. You want to control these important elements, but make them easily accessible to the publicity team at your next performance venue. A few high quality media examples, both audio and video, are a must-have. Visitors to your site want to see and hear representative samples of your best or most notable works! Be sure to include only those that present you at your best. An Events section highlighting upcoming performances shows you’re active and in demand. Include a link to an archive of past performances—you’ve been in demand for a while! Visible links to your social media channels help your audience follow your career. The Contact form on your website should forward inquiries automatically to an email account you check daily. If you have Personal Projects that effectively represent your unique professional strengths and qualities, be sure to include them on a separate page or section of the site. Throughout your website, use high quality images that support the professional identity you’re cultivating. Periodically, Google your own name and see what’s out there about you. Is it consistent with the professional identity you’re cultivating? Andrew Pelletier: What is your horn story? What brought you to the horn? 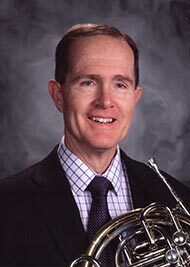 James Patterson: I started the trumpet in junior high band camp but switched to the tuba to play in the advanced band. 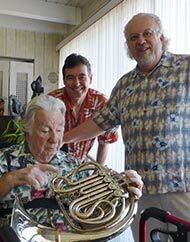 Later in high school while working on the Wilder trio for horn, tuba and piano, the sound of the horn caught my ear. So, I switched to the horn in my sophomore year. -What brought you to the craft of building? Did you come to it via repair and customization? Did you apprentice with anyone? I've always had an interest in how things work, especially musical instruments. While in junior high school (middle school) I regularly took home various instruments, cleaned and oiled them and tried to learn how they worked. I re-padded a flute and a baritone sax and whenever an instrument needed repair, I volunteered to take it to shop where I watched the repair tech and subsequently learned about instrument repairing. While in college I did repair work during the summers, and after my University experience I was offered a job working for Robert Atkinson. This was the first time I worked as a specialist building and modifying horns. After that I got a “real” job working in the aerospace industry. I worked my way up the ladder and ended up as a manufacturing manager with 29 people in my department. Of course, I continued playing the horn, doing some recording work and freelancing. After ten years, I really wanted to return to the music business, so I started working as an independent contractor at Bob Malone’s Brass technology shop. I quickly became the top horn specialist in LA; that was where I honed my skills and began to think about my own designs. -When did you make the shift to horn builder? Was it a moment in time, or did it evolve gradually? When I left the aerospace job, I started getting a lot of performing work, especially recording. But the industry was shrinking quickly, leaving me with a lot of time and opportunity for horn design. I started spending more and more time working on horns. I was the go-to guy at Bob Malone’s Brass Technology in Van Nuys, CA. There was definitely a day when It became obvious that I needed to open my own shop. So, In the mid 90's I parted ways with Bob Malone's shop and began Patterson Hornworks. One of the first things I did was to take a class on natural horn building with Lowell Greer where I learned the skills needed to make my own horns. Initially, I focused on building natural horns, complete crook sets and sheet metal mouthpieces. 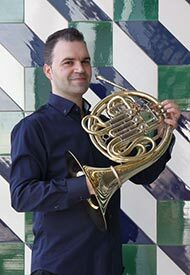 I really enjoyed making these horns and was able to perform regularly on the natural horn in the LA Baroque Orchestra. I was also doing a lot of horn rebuilding and customizing as well as mouthpiece making. As I continued to learn the fine points of horn design, I developed my own leadpipe and first branch tapers. From there, it was an easy transition to building the whole horn.